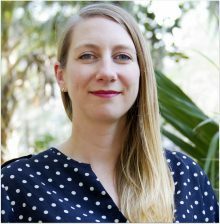 CHP Doctoral student, Jessica Zakrzewski (co-mentored by Dr. William Perlstein, CHP, and Dr. Carol Mathews, Psychiatry), and Psychiatry Doctoral student, Christian Archer, (mentored by Dr. Carol Mathews) have received a joint poster award for the International OCD Conference at the end of July. Jessica and Christian co-authored an abstract entitled “Functional Impairment and Perceptions of Memory in Hoarding Disorder”, which was awarded a $1000 Research Poster Travel Award ​at the 2018 International OCD Conference which will be in Washington DC, July 25-29, 2018. Jessica will be using the award to present this poster as well as give a talk at the conference.